Nowhere in any of that is Jesus claiming to be God. He claims to be the Son of God and that no one can come to him without his Father’s intervention. Jesus called himself “The Son of God” in John 5:25. Evil spirits called Jesus “The Son of God” Mt 8:29; Mk 3:11; 5:7; Lk 4:41. The “Rock” on which Jesus said he would build his church (Mt 16:18) is the Truth that HE IS THE SON OF GOD. Thus, neither Jesus himself, nor the (unadulterated) Scriptures leave any possible doubt as to the nature of “Jesus of Nazareth”. 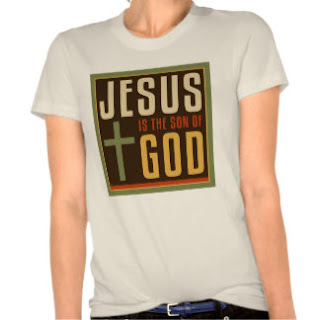 He is “The SON of God” not “God the Son” as many Trinitarians claim. Why not accept the record just as it is? Allowing Jesus to be who He is — the SON of God — does not strip him of his deity. We do not need to add to the Scriptures to prove who and what he is. We simply need to “Rightly divide [handle properly] the Truth” (2 Timothy 2:15).